Expressing concern over changing food habits and lifestyle, he also urged them to practise Yoga. “Yoga has nothing to do with politics or religion. Those who have problem with Surya Namaskar, can do Chandra Namaskar. But practise Yoga,” he said. Rajya Sabha Chairman M Venkaiah Naidu has declared December 24 and 26 as holidays. 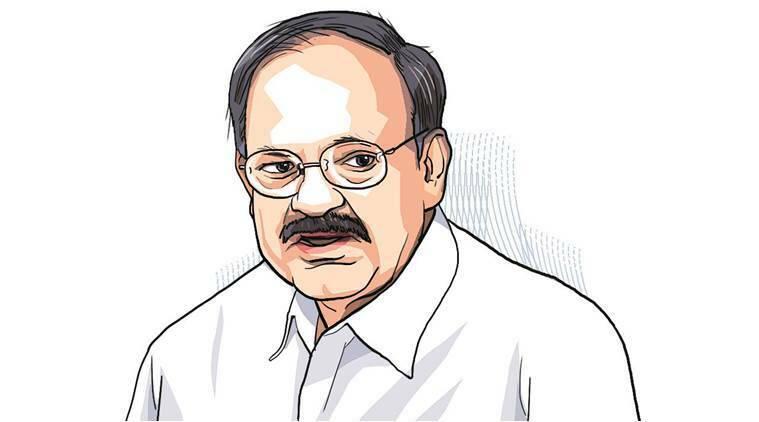 VICE-PRESIDENT M Venkaiah Naidu’s love for entertaining friends in the national capital with southern delicacies is well known. But when he hosted a Ugadi celebration at his official residence on Saturday, he had a special advise to offer on food habits. Addressing the gathering, which included former Prime Minister Manmohan Singh and his own predecessor Hamid Ansari, Naidu said, “Instant food means constant disease.” Expressing concern over changing food habits and lifestyle, he also urged them to practise Yoga. “Yoga has nothing to do with politics or religion. Those who have problem with Surya Namaskar, can do Chandra Namaskar. But practise Yoga,” he said. For impact, his office also organised a dance programme with Yoga postures. AFTER OPTING out of Darjeeling constituency which he represented in the outgoing Lok Sabha “keeping principles and necessities of coalition Dharma in mind”, Union minister S S Ahluwalia had requested the BJP leadership that he be given a seat to contest in West Bengal only. Although he was considered for Amritsar, Ahluwalia was not keen to contest from Punjab as he did not want to be known as one who won just on Sikhs votes. He says he wants to be a “true nationalist”. Being fielded from Burdwan-Durgapur Lok Sabha seat is a homecoming of sorts for Ahluwalia. Born in Jaykay Nagar in Burdwan, Ahluwalia, who spent much of his political life in Congress, was raised in neighbouring Asansol and studied in Burdwan University. THE GROWING clout of Nikhil Alva, who manages Rahul Gandhi’s social media accounts, is raising eyebrows in the Congress. Party leaders say Alva’s imprint is clearly visible in the campaign song released by the party. The concept and script of the campaign is done by well known writer and advertiser Anuja Chauhan. She is the wife of Alva’s brother and television producer Niret. Along with Percept, Goddess is the production agency behind the campaign. Goddess is founded by Simran Sahni, who has worked with Chauhan at J. Walter Thompson (JWT).